Why You Need SatHookup SatHookup has an extensive network of local satellite tv (Dish Network, Directv, FTA), satellite Internet and home theater installers and local providers across the 48 continental United States. 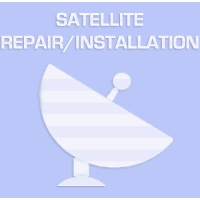 Use the SatHookup Network to find a local installer for satellite installation or satellite tv repair service. 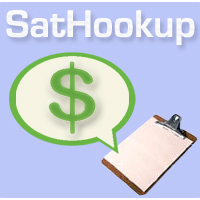 How Do You SatHookup Bellow are SatHookup's many services SatHookup provides to address the communication needs of it's customers in an efficient manner using local businesses and independents; getting people to work and moving vital dollars through your community. Find Local Home Theater Installation or Satellite TV Repair. We fully service new and existing Dish Network, Directv, FTA satellite tv customers for home, business, and mobile viewing. Sales, installation, and repair for apartments, condos, offices, and other commercial locations by local installers. We also service, install and repair HighesNet and Wild Blue satellite internet systems. 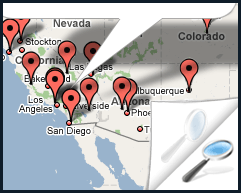 Find a local satellite internet providers - independent and ready to serve. If you are thinking about getting Dish Network or Directv as a new customer, you can view Directv Programming, Dish Network Programming or pay to Order TV Quote. Satellite installation and repair for existing Dish Network, Directv, Satellite Internet or FTA customers can place a $10-20 deposit and order installation in a covered SatHookup Network installation area. We provide? 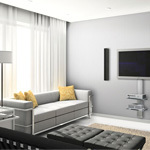 Home Theater services including wall mounting flatscreens, LCDs, Plasma, and Projection TVs? for Residential and business locations. We also provide audio/video installation from running speaker wire, configuring surround sound, or adding componants - SatHookup has you covered. The SatHookup Network is a collection of independent labor and business with the tools and know how to do more than just satellite. Many installers can put up over the air tv and radio antennas, provide home automation/networking, install solar pannels and other green technologies to keep you home or business on the cutting edge of technology and efficiency. With any project, time is of the essence, and sometimes you need the answer yesterday. It may be too burdensome to research the right answer or you may not be able to trust the information you currently have to make a decision. We can perform cable and satellite site survey and installation plans for residential and commercial locations including hi rise buildings, offices, single family homes, apartment complexes, and HOA Home Owner Associations.